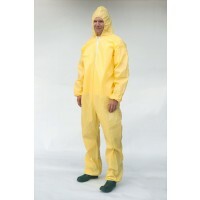 Sold By Case of 25 •	OSHA Approved •	FREE Shipping on all orders over $100 within the U.S! 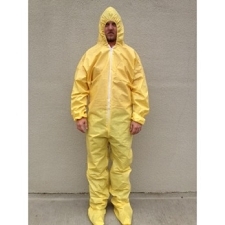 Protecting you from many harmful contaminated materials, the P.E.Coated Chemical Protection suit is constructed using a unique polyethylene barrier film and a continuous filament polypropylene non-woven. This suit protects you and your clothing from being contaminated with hazardous fluids.